Adidas are ready for the autumn season and present new colour combinations for their boot collections. This includes both Predator, Adipure and Adizero, hereby meeting all demands. Do you consider yourself an elegant player? Can you make the final and deadly pass? Or do you get ahead of your opponent using your speed? The elegant Adidas Adipure 11Pro has been launched in a cheeky Black/Orange colour combination and fully claims its status as a heritage boot. 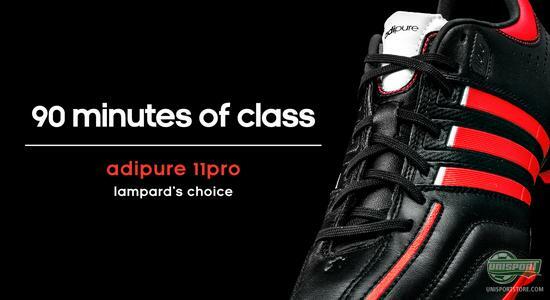 With an excellent leather upper, great comfort and a soft touch it is tailored to the elegant player who, just as Frank Lampard and Bastian Schweinsteiger, creates the space and time needed. Does it sound like you? Then you can find out more about the new Adidas Adipure 11Pro on our campaign site, where you can find all the models and more information. 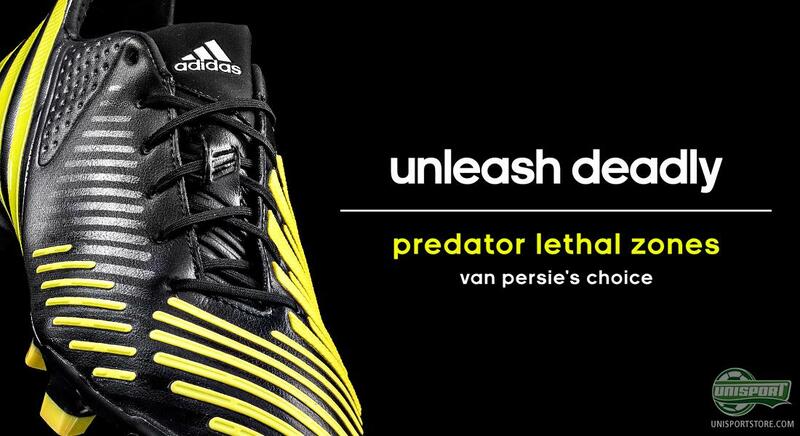 The new Adidas Predator LZ Black/Platinum/Neon looks just as deadly as it is. Whether you need to curl a free kick above the wall like Robin van Persie, trick an opponent with a cheeky dribbling like Nani, or make the crucial pass like Xavi, Predator LZ is the boot you can trust. With 5 lethal zones you will have the right equipment, whether you need to control, pass, strike or dribble. Does it sound like something you would like? Then stop by our new campaign site right here, where you can see a lot more of the Adidas Predator LZ Black/Platinum/Neon. Adidas F50 Adizero Silver/Orange displays speed, dribbling, as well as, twist and turns like no other. 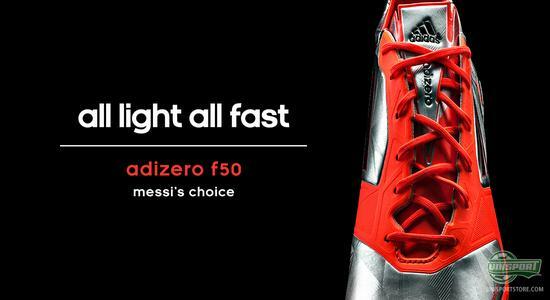 It is the preferred boot by stars such as Lionel Messi, Arjen Robben, Gareth Bale and Ashley Young, so there must be something about it. If you rely on your speed, and likes to trick your opponents, this is where you want to direct your attention. You can find it right here on our new campaign site, where you can also get yourself a nice new screen saver. Adidas have ensured that you can find a boot that meets your demands and style, but where do you fit in? Are you the elegantier? The midfield maestro? The speedy winger? We would like to hear your opinion on the boots in the comment field below.